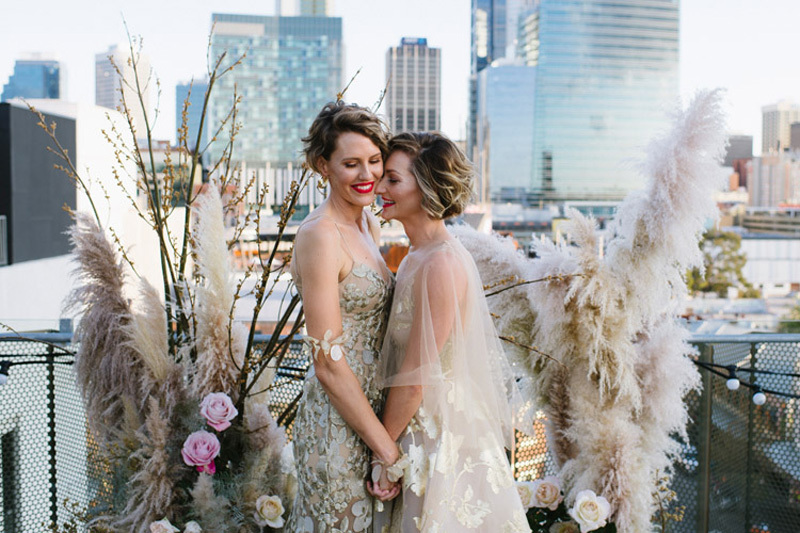 Can you feel the love radiating off this gorgeous couple? 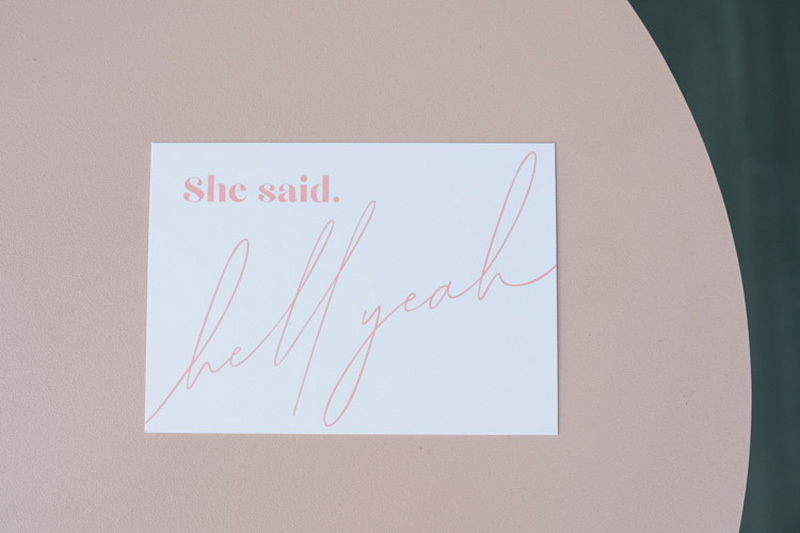 We sure can! 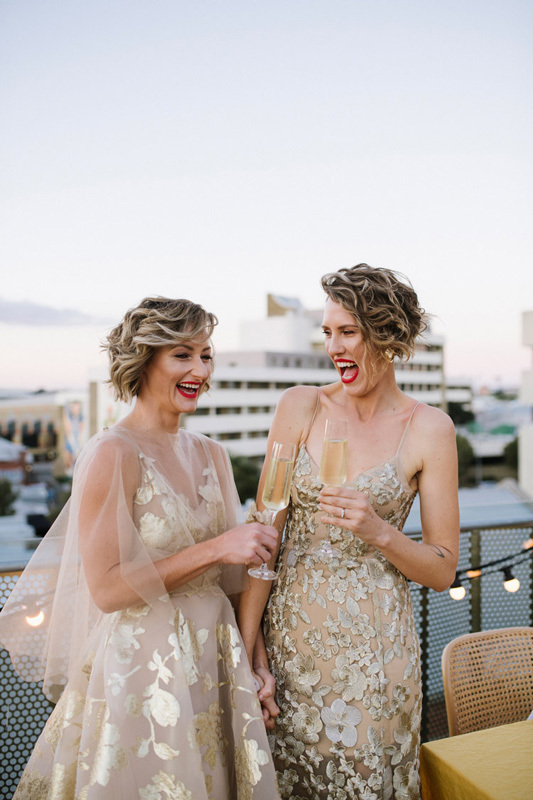 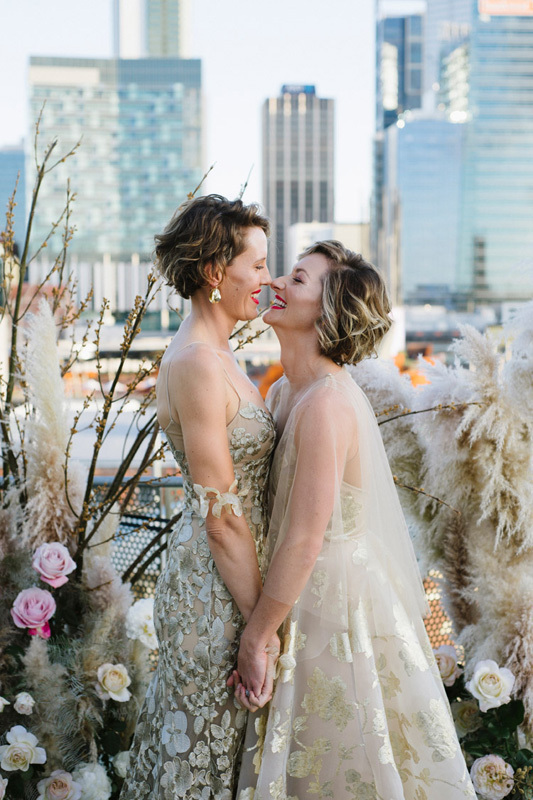 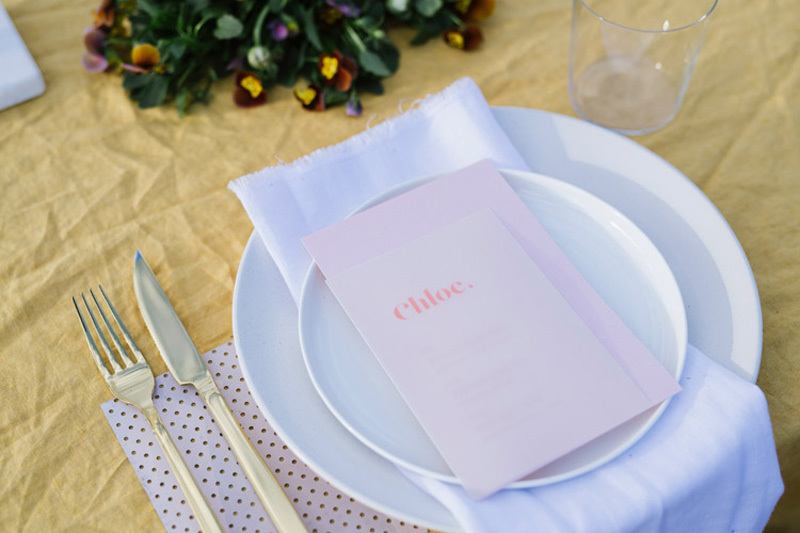 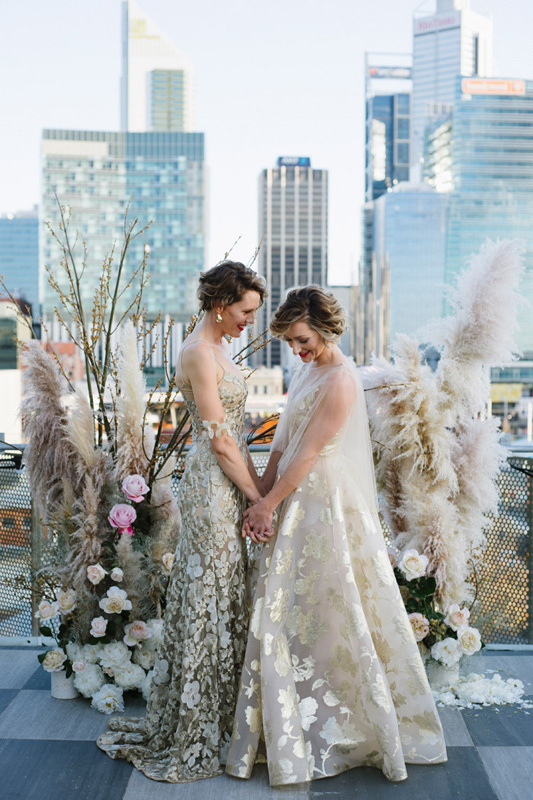 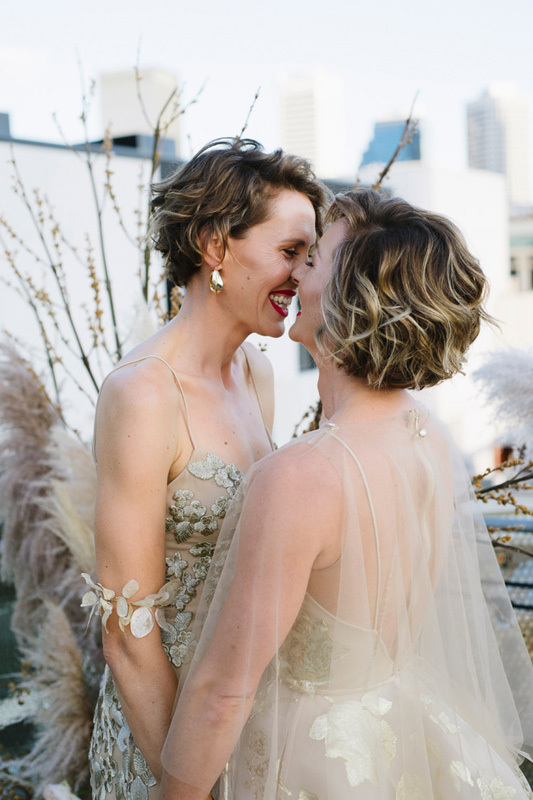 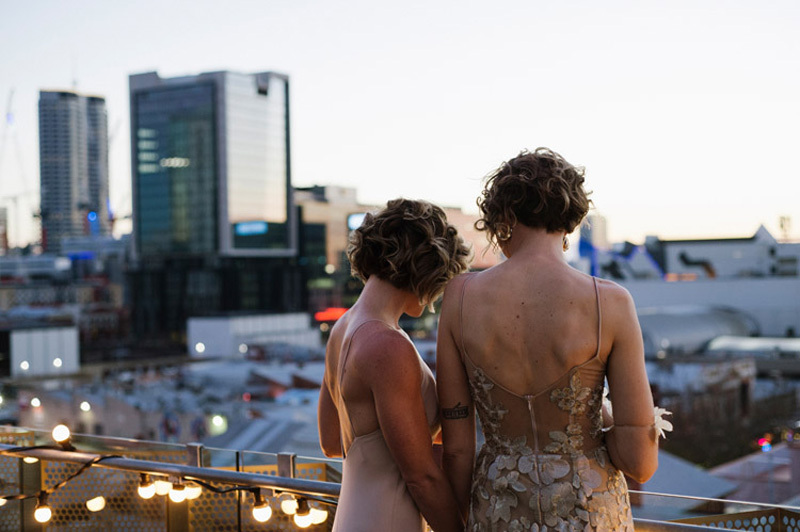 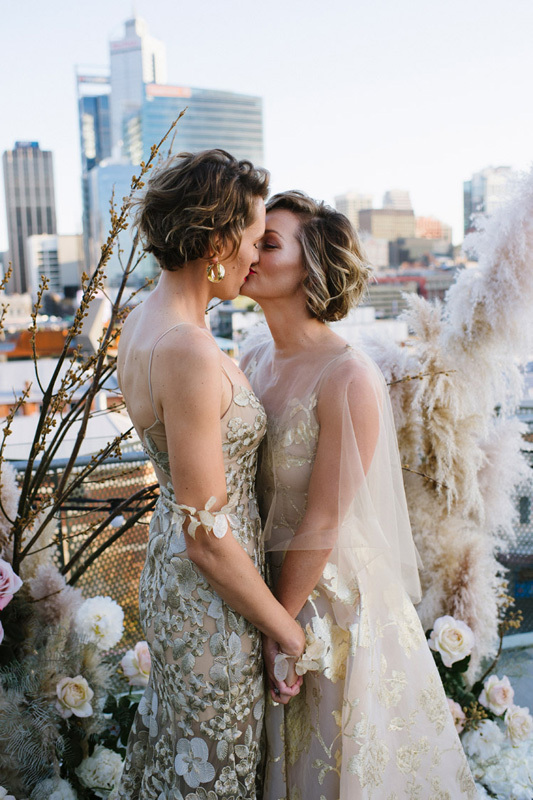 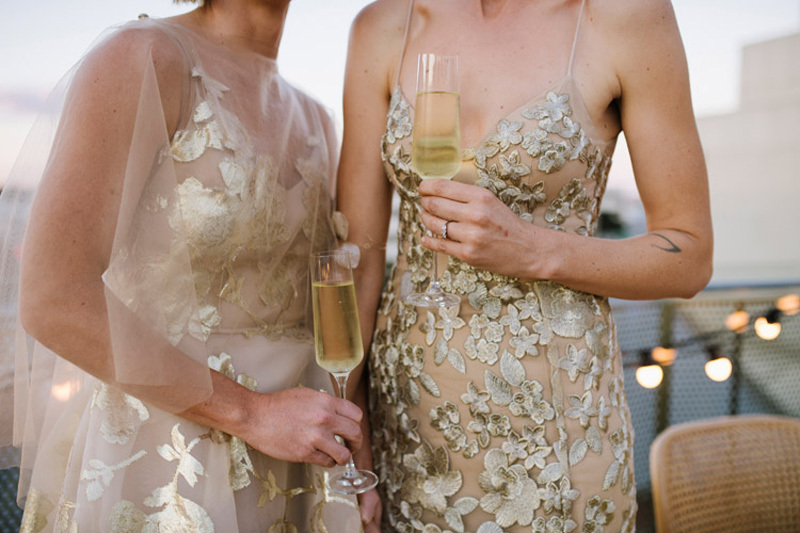 We couldn’t be more excited to share Kate and Claire’s engagement party shoot with you. 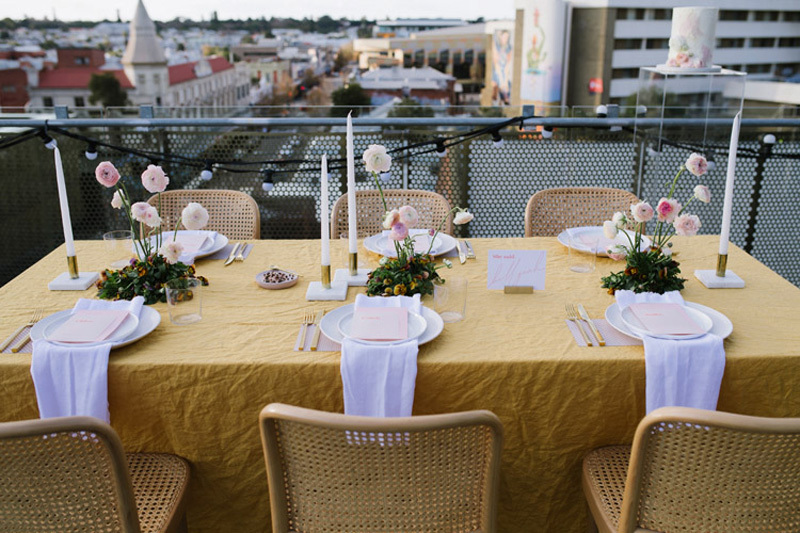 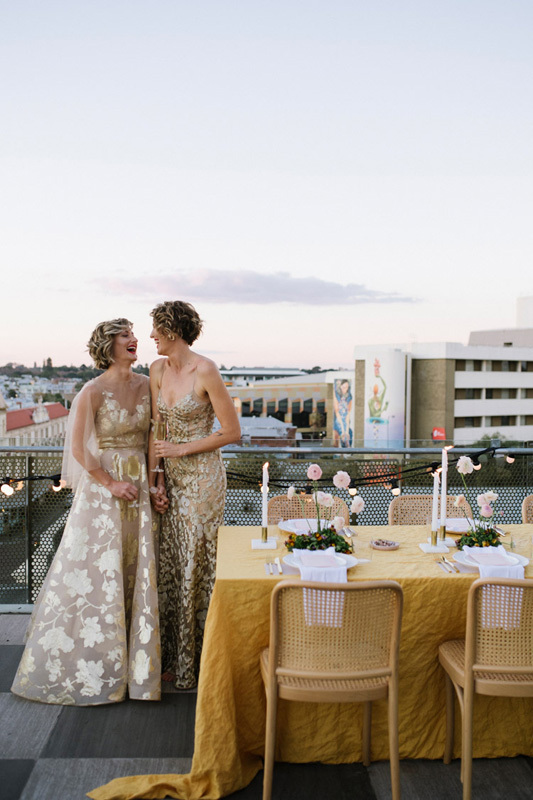 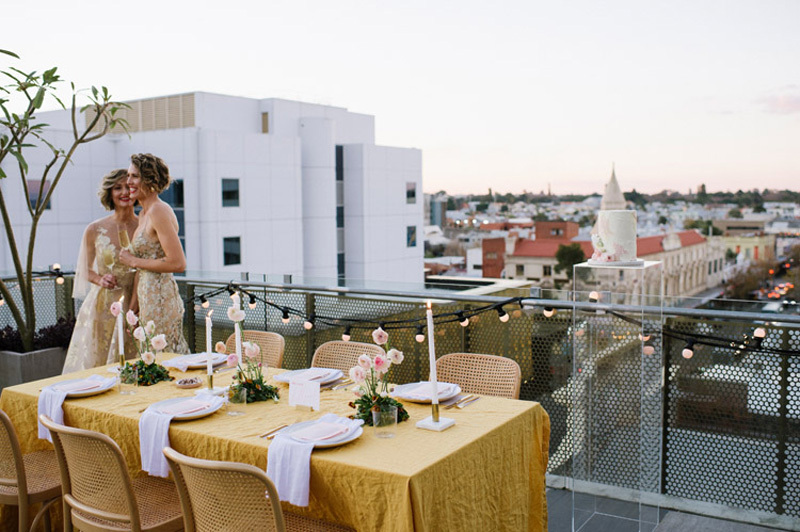 Looking out over Perth’s beautiful skyline, a gold, pink and mustard colour scheme complemented the romantic sunset backdrop. 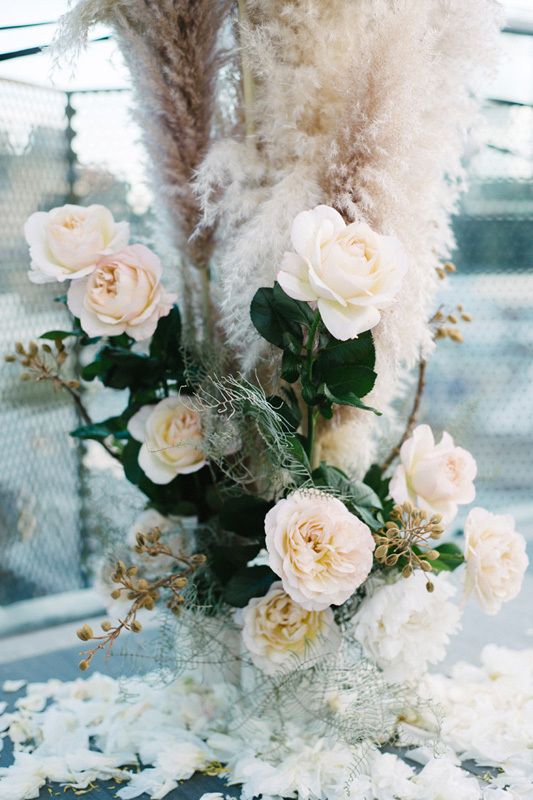 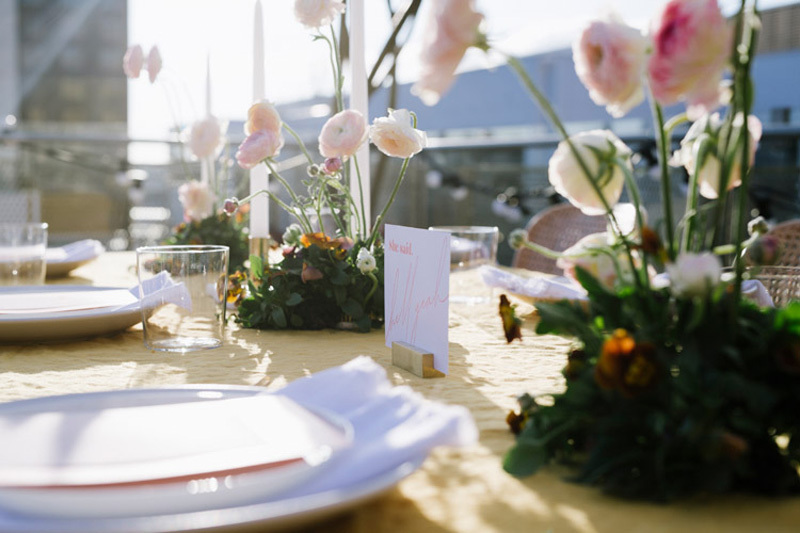 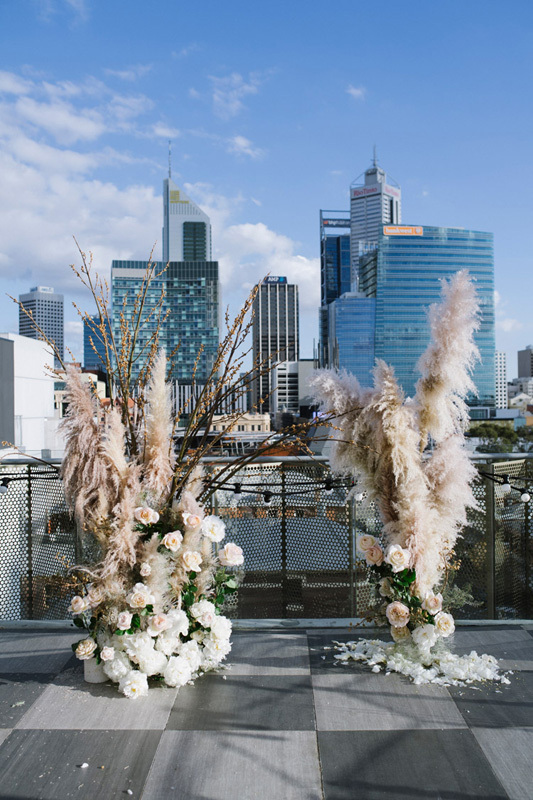 A floral sculpture composed of tall pampas grass and roses added an element of opulence, while details such as string lighting, bare wooden seats, single tall candles and personalised accessories created a heartfelt and intimate vibe. 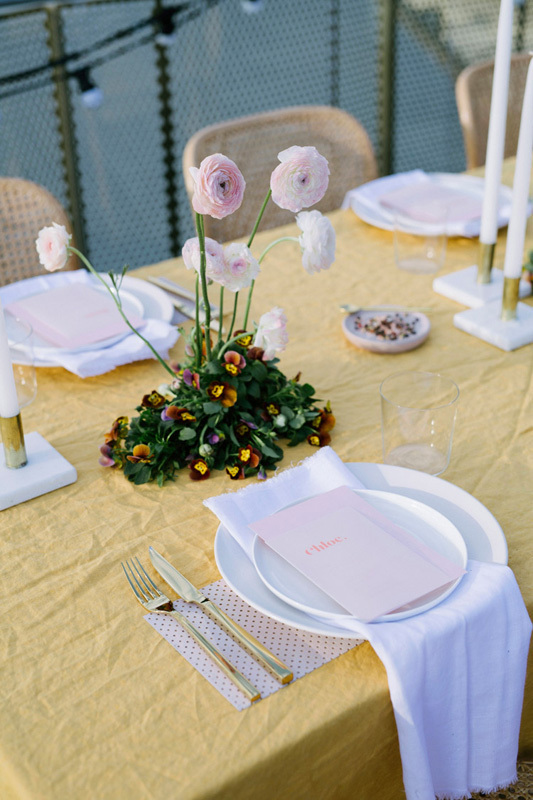 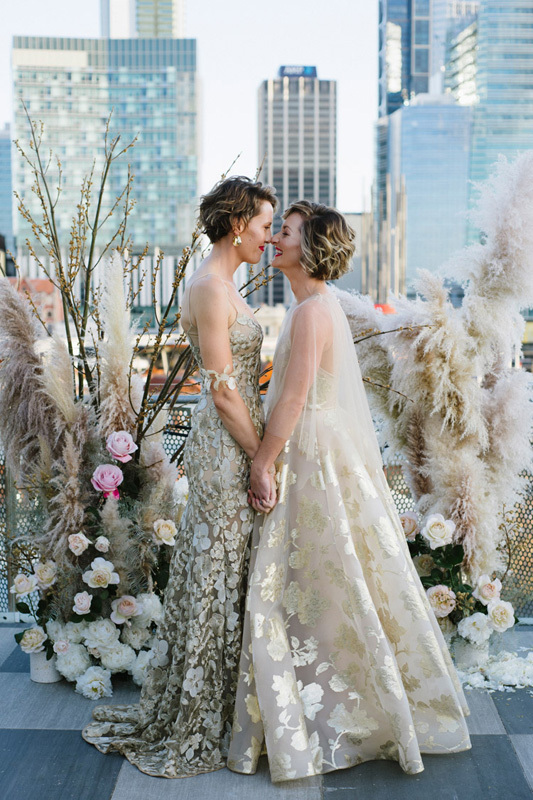 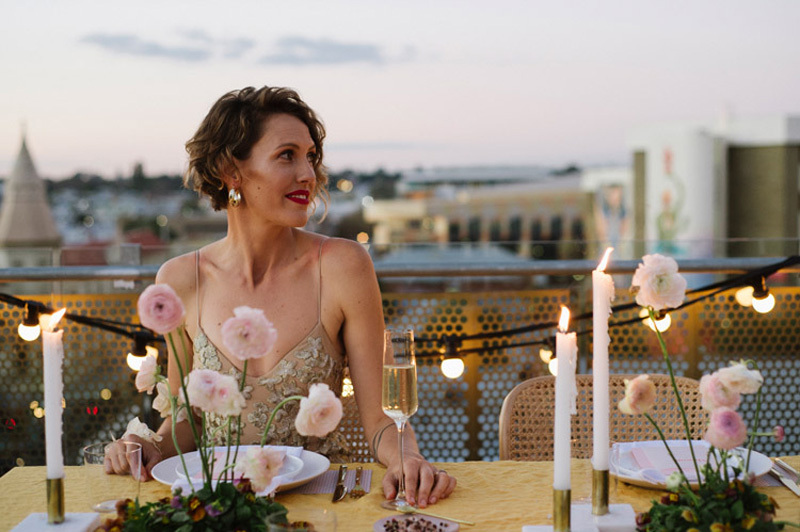 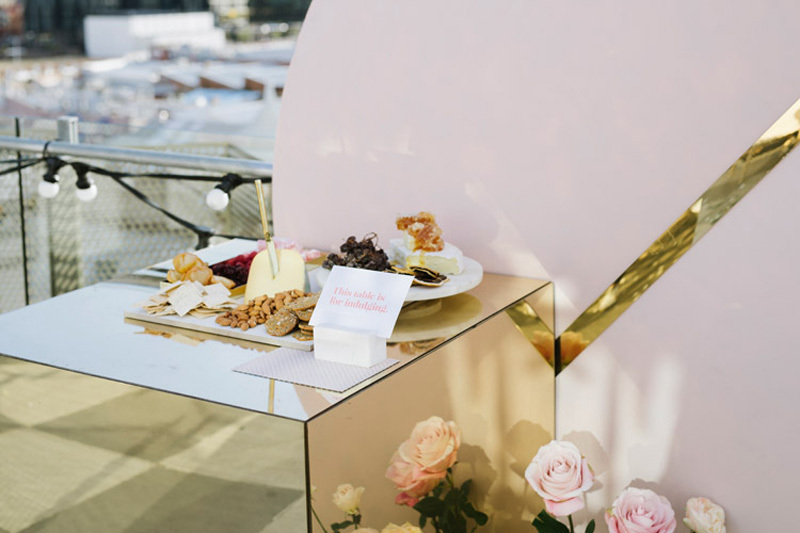 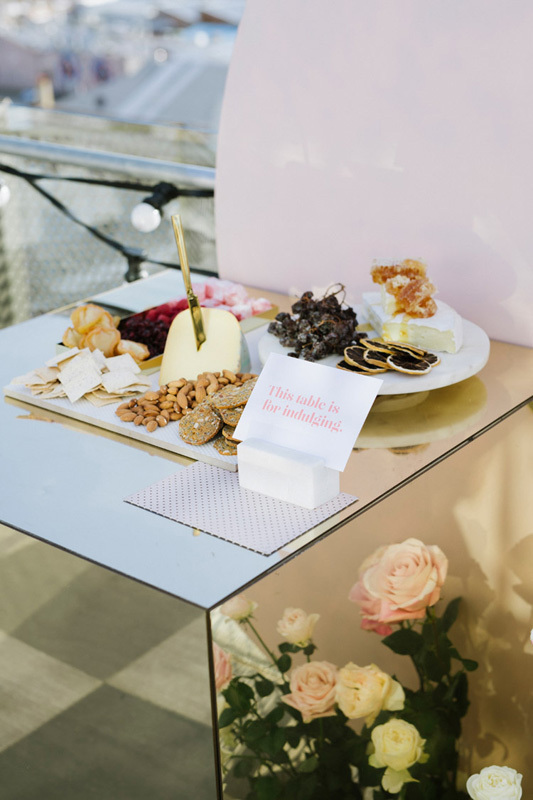 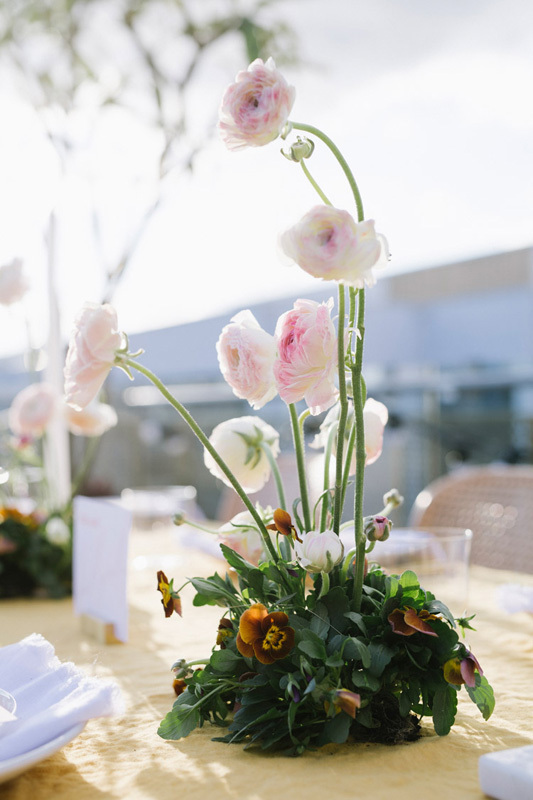 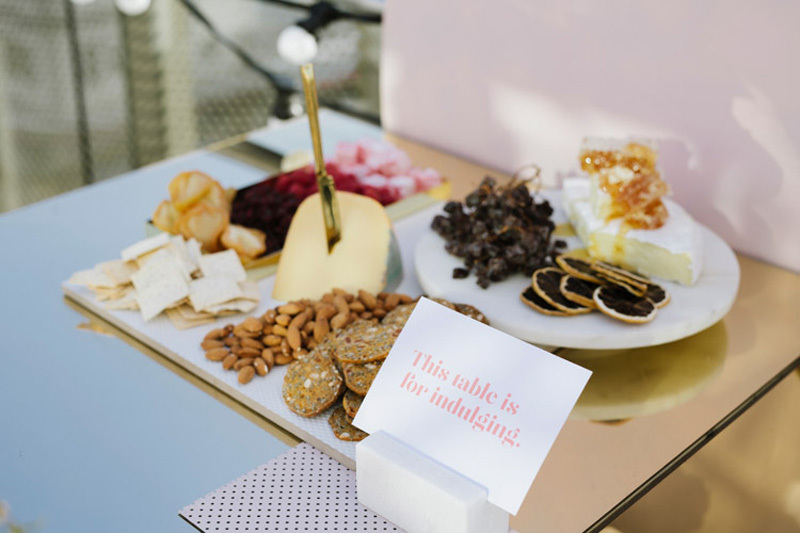 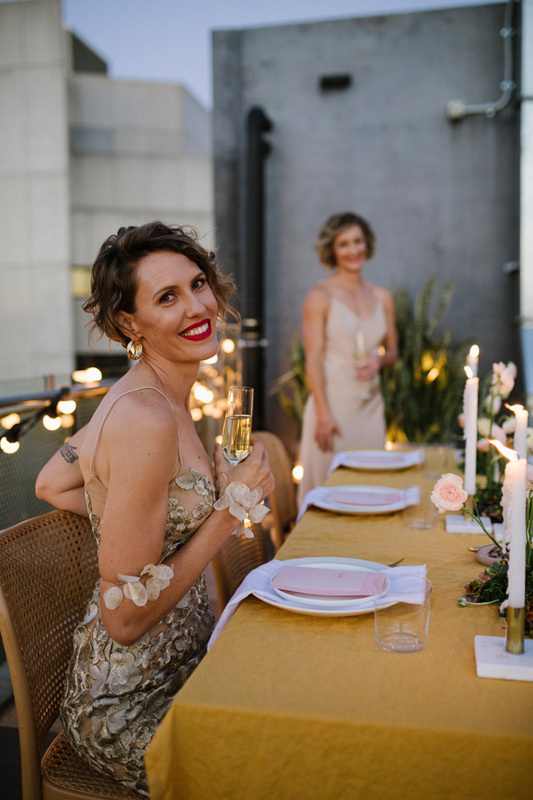 This shoot encapsulated everything that an engagement party should be—a true reflection of the couple with a little luxury and creativity, as well as a big splash of delight. 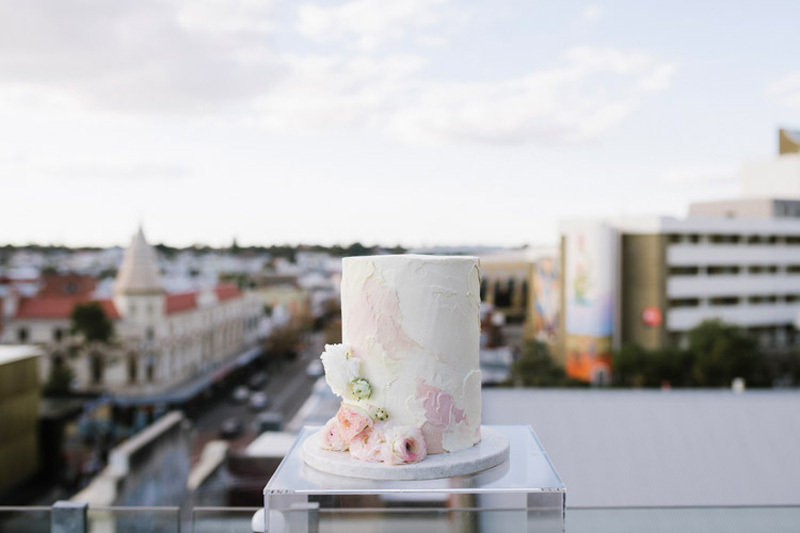 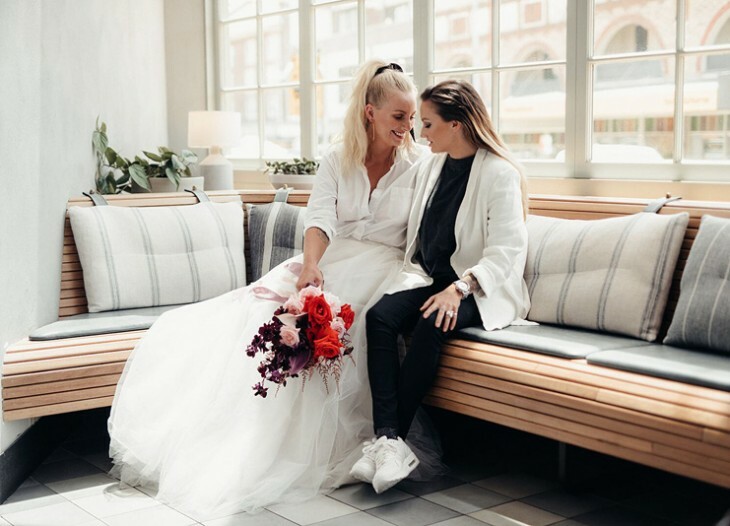 Have a look at the incredible images captured by photographers Alana and Courtney from The Day Weddings. 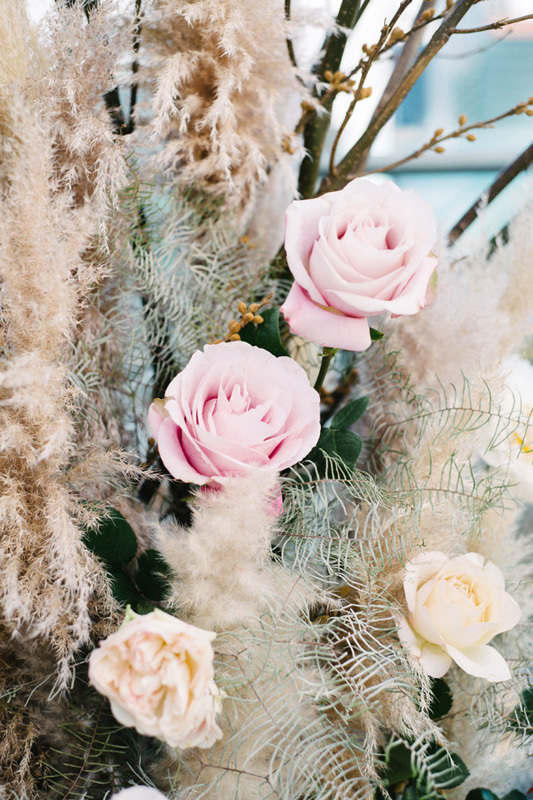 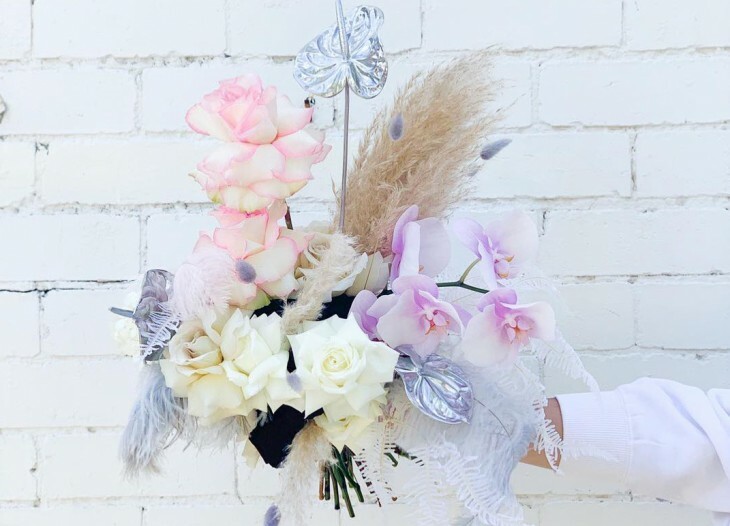 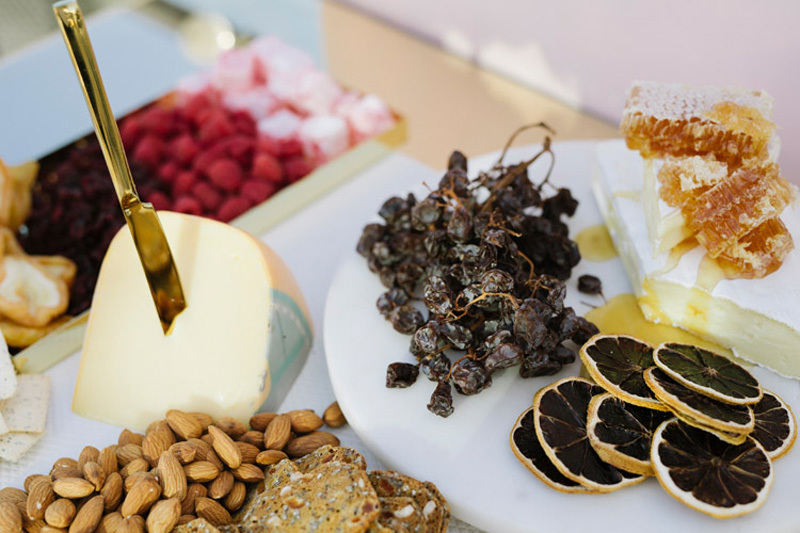 Take a peek at our favourites in our handpicked Vendor Guide! 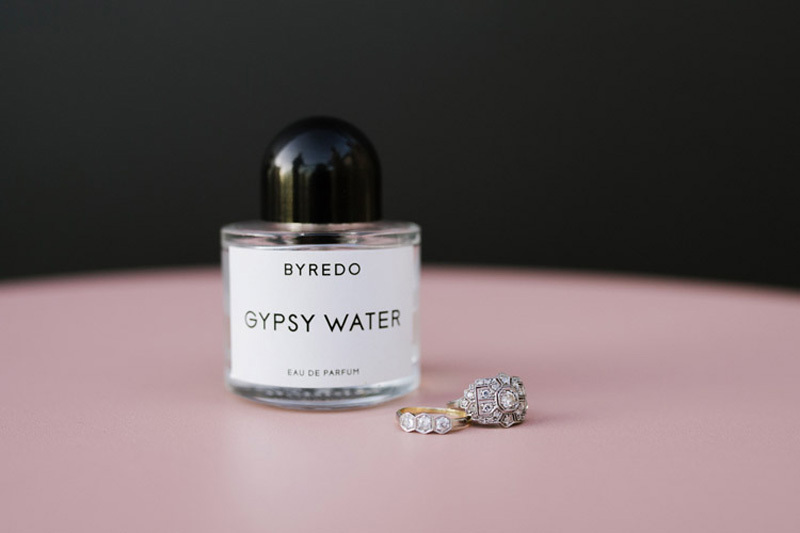 Join our selection of carefully curated brands!